No longer wait 6 to 8 weeks or longer for steel casework that is required urgently to meet a deadline. Total Laboratory Solutions now offers a Quick-Ship Program for the supply of the following products. 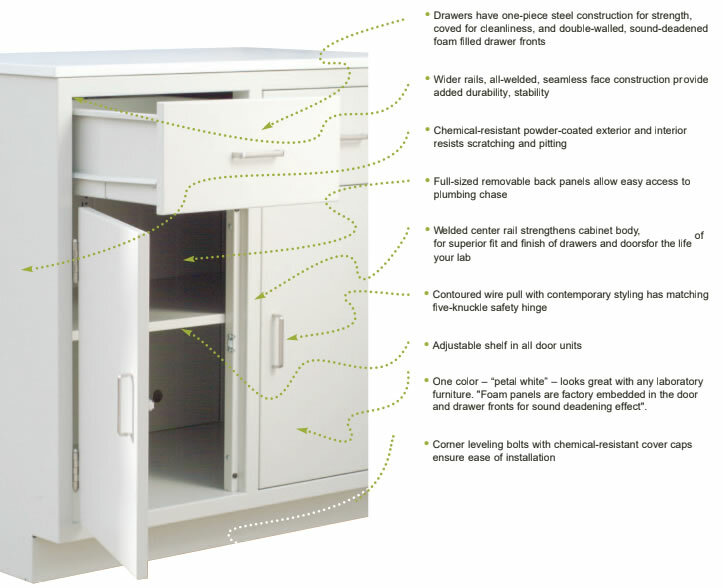 Tall Cabinets, Apron Housings, Knee space rails, Tables, Adjustable Height Tables and more. All products listed below are currently in stock in an Off-White color and can be packaged and shipped within 2-3 days of order placement. Never miss a deadline again. If time allows for longer lead times, then consider our Dura-Line steel casework that is made to order and available in a normal 4 to 6 weeks production lead time plus transit. If time is of the essence and a project needs steel cabinets, do not delay and order now based on the list of products currently available. Contact Total Laboratory Solutions at david@duratopepoxy.com or phone 1-888-980-9845 for pricing and shipping schedules.